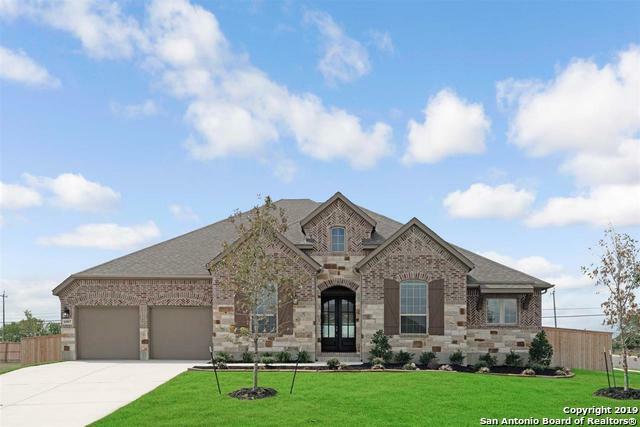 All Schertz homes currently listed for sale in Schertz as of 04/22/2019 are shown below. You can change the search criteria at any time by pressing the 'Change Search' button below. 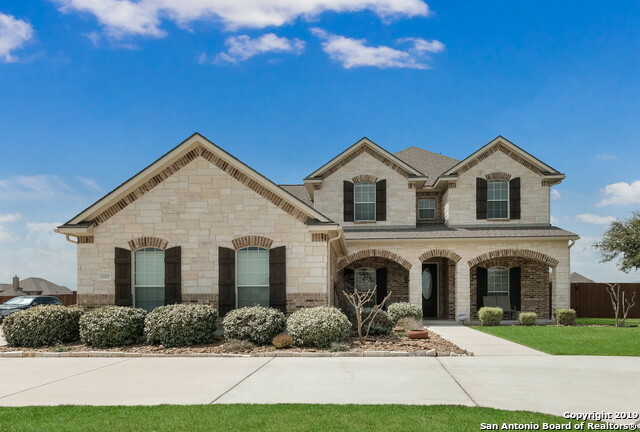 If you have any questions or you would like more information about any Schertz homes for sale or other Schertz real estate, please contact us and one of our knowledgeable Schertz REALTORS® would be pleased to assist you. "Lovely 1 story home on 8.81 acres of beautiful country ranch style living that backs up to Randolph AFB recreational park. Property features a detached barn/garage 1620 Sq ft; horse barn, 900 sq ft; and a large saloon 1700 sq ft. Very quiet ranch for private parties and celebrations. 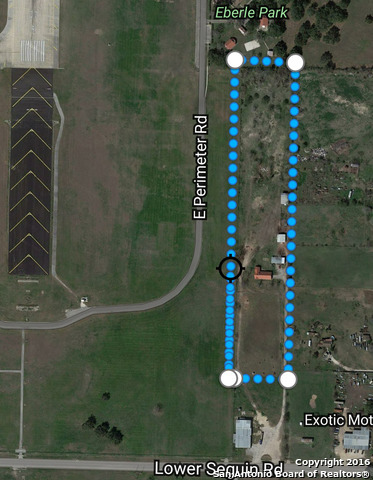 Located near RAFB and excellent shopping. This is a must see!!" "Multi Homes on 6+ Acres, Double RV Barn, 10 Storage Bays, Main Home Built in 2011 plus 1 Single Family with Detached Garage and 1 Mobile Home with Extension. 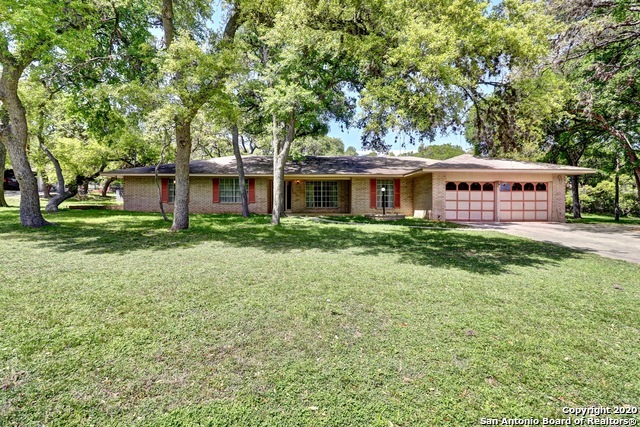 A One of A Kind Property with Private Road Entry off 3009 Estate Sale Property, Current Owner has never lived on the Property, No Sellers Disclosure or Other Disclosures, Ciity of Schertz, No HOA"
"This home welcomes you in w/a circular drive & is an entertainers delight w/room for lg gatherings.Spacious FR flows into eat-in kitchen w/an abundance of light, breakfast bar & island. Dual Master Bedrooms-Downstairs MasterBed w/wood floors & oversized walkin shower. Upstairs MasterBed also w/wood floors & lg walkin shower. Lovely entry tile pattern opens into office area w/wood floors & 1st floor guest bedroom. Game room, wired media room used as 5th bedroom. 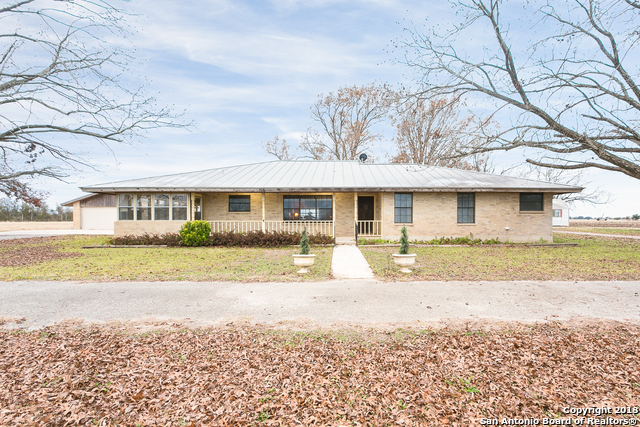 Homes sits on .54 acre w/pool & co"
"Room To Roam On This Very Tranquil 20 Acre Property * In The Country But Close To City Conveniences & RAFB * Custom Home With 3 Bedrms 3.5 Baths * Very Open Floor Plan & Vaulted Ceilings * Master Has His & Her Baths & 2 Closets * Huge Laundry Room & Plenty Of Storage * Relax & Enjoy The Views From The All Season Porch w/AC & Wood Burning Stove * 2 Car Detached Drive-Thru Garage * Well On Property For Irrigation Only Around The House * Lifetime Metal Roof * 2 Out Buildings* AG Exemption On 19 Far"
"New Princeton Classic Home! Gladstone II plan - 3879sqft. Home features - 4 Bed 3 Bath 2 Powder Baths 3 Car Garage Study Mother-in-law Suite Formal Dining * 8' Double Front Door * Entertainers kitchen * Rock surround fireplace * Outdoor kitchen * Private Patio Entrance from Master * Tray Ceiling in Master, Formal Dining and Family Room * Bay Window in Master * Large Extended Covered Rear Patio and much more! All situated on a .57 Acre lot!" "New Princeton Classic Home! Bairnsdale II 3330sqft. Home features - 4 Bed 3 Full Bath 2 Powder Baths 3 Car Garage Study Mother-in-law Suite Formal Dining * Outdoor kitchen stub out * Oversized Kitchen Island * Stainless Steel Appliances * Open Floor Plan * Cast Stone Surround Fireplace * Tray Ceiling in Master and Entry * Utility Sink * Master bay window * Extended Covered Rear Patio and much more! All Situated on a .56 Acre Lot!" "MLS# 1363336 - Built by Highland Homes - August completion!! ~ Corner Lot! Amazing New Floor Plan with Double Door Entry. Traditional Brick Elevation with 3 Car Tandem Garage. Open Concept Layout with Chef's Kitchen with Built in Stainless Appliances and Huge eat at island. Split bedrooms configuration for ultimate privacy. This home has it all, study, entertainment and game rooms that are perfect for entertaining family and friends. Don't miss out on this one!" "This newly built 3442 sqft Princeton Classic Home sits on a .52 acre lot. 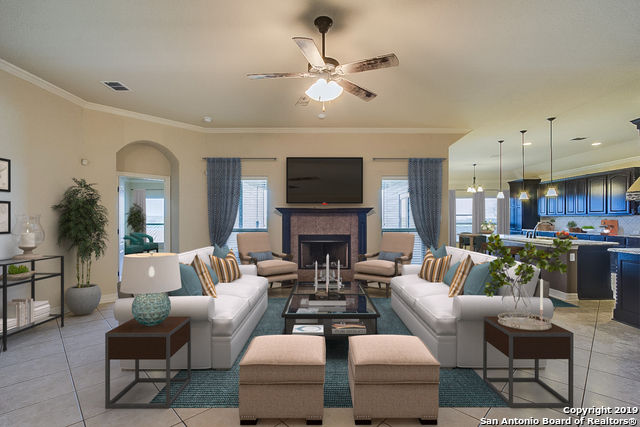 The one level residence in the Reserve at Schertz has a fabulous open floor plan. It features 4 Bed, 3 Full & 2 half baths. The grouping of the living/kitchen/eating areas is ideal for both intimate family gatherings & social entertaining yet warm & inviting for casual everyday living. Chef's kitchen with granite counter tops, built in oven & luxury finishes throughout! Yard with irrigation system,covered patio ideal for o"
"MLS# 1355671 - Built by Highland Homes - April completion! 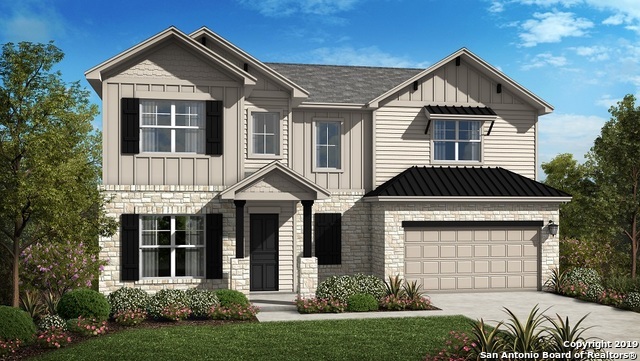 ~ Model Home Plan with Double Door Entry and Expansive Covered Front Porch! 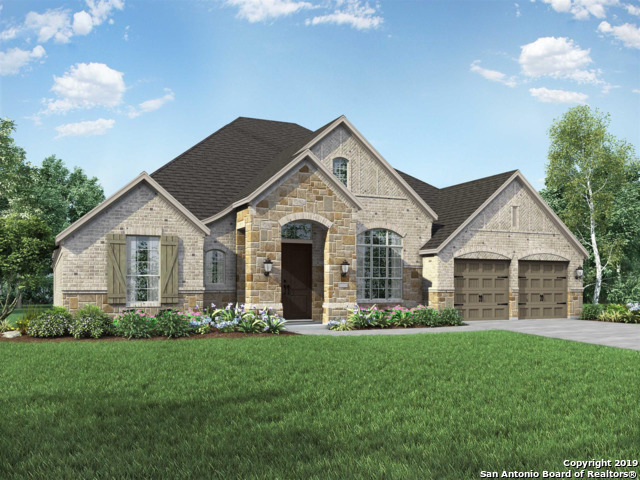 Brand New Plan with 4 Bedrooms and 3.5 Baths. Open Concept Kitchen with built in appliances opens onto a Family-Dining combo. Study, Entertainment & Lifestyle Rooms. Split plan layout with 3 Bedrooms on one side away from the Extended Master Suite with Spa like Bath for maximum privacy. Extended Covered Patio looks out on the Large Private Backyard.."
"MLS# 1358810 - Built by Highland Homes - May completion! ~ Model Home Plan with Double Door Entry and a 3 car tandem garage! 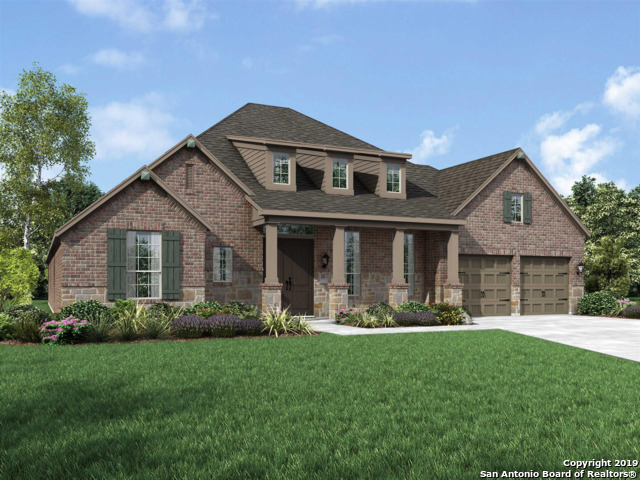 Brand New Plan with 4 Bedrooms and 3.5 Baths. Open Concept Kitchen with built in appliances opens onto a Family-Dining combo. Study & Entertainment Rooms. Split plan layout with 3 Bedrooms on one side away from the Extended Master Suite with Spa like Bath for maximum privacy. Extended Covered Patio looks out on the Large Private Backyard." 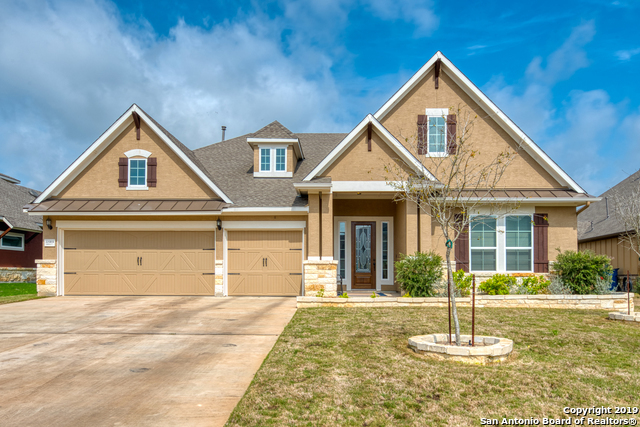 "Located in The Reserve of Schertz, this beautiful 4/3 home has over $90k in upgrades. With lamp posts and custom tiled & lighted walk-ways beautifully enhancing the exterior, the interior of this home is filled with upgrades. Wood flooring and tile throughout downstairs, crown molding, stoned fireplace & breakfast bar. Gourmet kitchen w/ upgraded cabinets, level 5 granite counters (throughout home), double ovens & more. Extended MB with access to covered patio, outdoor kitchen & gazebo. A Must "
"Large lot living at its best! Elbow room, as all homesites are 1/2 acre or more. 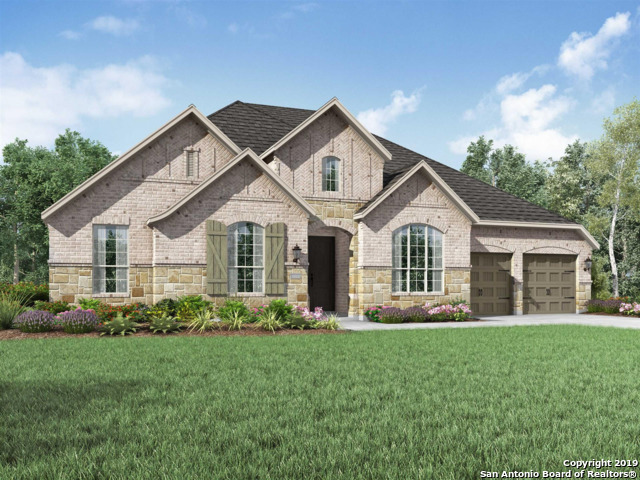 Beautiful 1-story on 0.5 Acre on a dead end street, with 3-car side entry garage, study, tile in all the living areas, and open kitchen w/ large island overlooking the Family room. Covered front and rear patios looking out to the large yard. New home construction, will be completed March 2019." "Elevate your lifestyle! 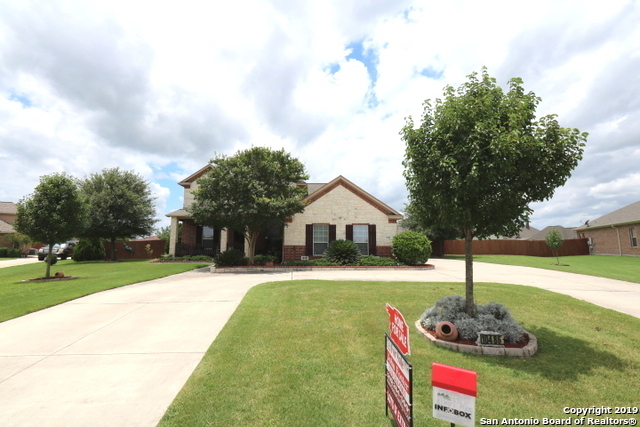 Located in an attractive community this 4/3.5/3 home has everything you desire. Formal dining room, study & spiral staircase welcome you at the grand entry. 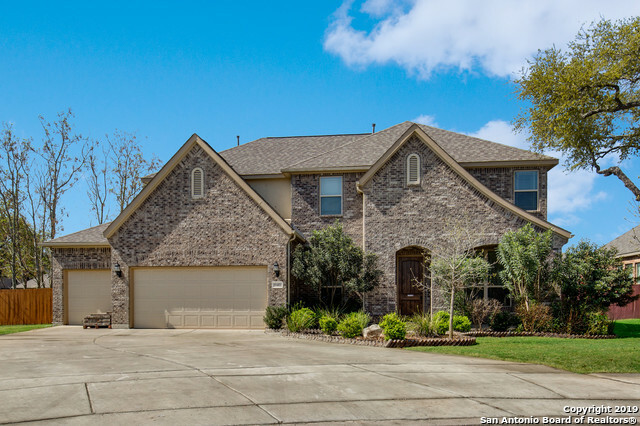 Ceramic tile graces the floors of the living room w/ 2 story ceilings & cozy brick fireplace. Gourmet kitchen boasts built in SS appliances, double ovens, granite counters & rich chocolate colored cabinets. Additional space for entertainment in the game room & media room. Large patio & balcony provide views of the nea"
"5 Bed/3 bath in Ivy Estates! Oversized .65 lot w/covered patio & outdoor brick fireplace. Large secondary living/dining space. Extended Master and 2 bed down. Master Bath has ample storage. Living- large windows, bar top seating, open gourmet kitchen w/unique hood, rich 42 cabinets, double oven, granite counter tops, SS appliances & walk-in pantry. Second level- upscale home theater & versatile living spac/playroom. BONUS: Central vac system, water softener & extended driveway slab boat or RV." 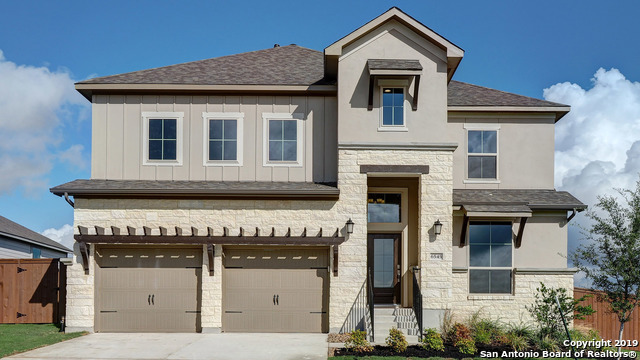 "Built in 2015, this Schertz offers a patio, a loft, a fireplace, granite countertops, media room, master bedroom walk-in closet, and a three-car garage. This home is part of the Diamond Association Management & Consulting HOA. This home has been virtually staged to illustrate its potential! Thanks for viewing! Home comes with a 30-day buyback guarantee. Terms and conditions apply." "MLS# 1362202 - Built by Highland Homes - May completion! ~ Corner Lot! Amazing New Floor Plan with Double Door Entry. Classic Brick & Stone Elevation with 3 Car Tandem Garage. Open Concept Layout with Chef's Kitchen with Built in Stainless Appliances and Huge Island and window over the sink. Split bedrooms configuration for ultimate privacy and a study complete this home that is perfect for entertaining. Don't miss out on this one!!" "Welcome home to your beautiful custom built country retreat on 1.2 acres in the highly desirable Schertz Forest! Enter an inviting foyer leading to a cook's kitchen and open living area. Enjoy conversation and meal preparation in this customized kitchen featuring granite counter tops, alder wood cabinets and stainless steel appliances. Entertain family and friends in the game room with built in wet bar and direct access to the covered patio. Must see to appreciate this view! 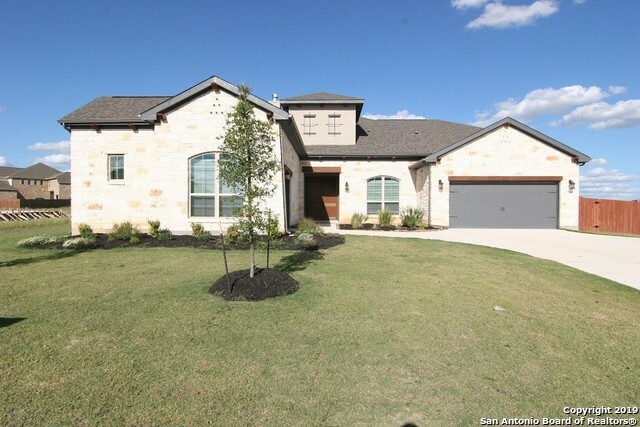 Close to RAFB a"
"This lovely two-story offers everything you need in a home. A study with beautiful windows for lots of natural light. A formal dining room with walk-thru to kitchen, open kitchen to family room for easy entertaining and a powder bathroom. Secluded master bedroom suite w/large master closet. Upstairs a media and game room, with 3 additional bedrooms and two full bathrooms." "Nearly 3900sf,1-Owner,Very Custom Rock Hm w/LOTS of UPGRADES on a 0.56 ACRE Cul-De-Sac lot w/Circle Dr,3-Car Gar,Lush Landscaping w/Sprinkler Sys,16x12 Storage Bldg w/Loft,2-Water heaters & 2-13 Seer A/C Units,Rain gutters,22x6 Decorative Entry Frt porch w/Wrought iron & 16x15 Patio w/Slate flooring,5-BD,4-BA (2-Master Bd Suites Downstairs) Kit has B'fast Bar/Nook & Formal Dining Rm & Study UPSTAIRS is 3-BD's,Ba,Gm Room,Media Rm w/Seating,Wet-Bar,Wine Frig & 16x8 Balcony w/Slate flooring & Great"
"Incredible home with an amazing amount of space located in desirable Schertz/Cibolo ISD. Located on an over-sized cul-de-sac lot. Spacious entry, formal living and dining room, large family room features a dramatic fireplace. Second bedroom and full bath downstairs. Loaded with upgrades. Accent color walls, decorative oak and rod iron bannister, extended patio perfect for entertaining. Room for a pool. Sprinkler system. 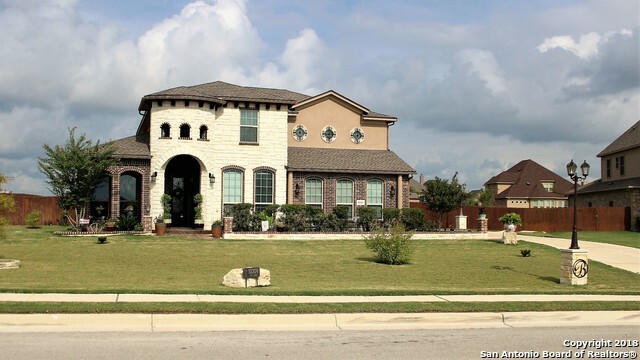 6 bedrooms and 4 full baths are great for a large family. Game room plus a m"
"Why build? Immaculate home move-in ready offering endless amount of upgrades. Impressive entry leads you into a versatile plan designed for entertaining. Front office could be 2nd dinning. Main traffic area features wood flooring, fireplace, recessed lighting, ceilings trimmed in crown, s.s. appliances to include double ovens, stone & tile work & great storage options. Large master w/flex space for sitting/workout or nursery area, plus bath. Over sized covered patio. Shed for storage. Backs to g"
"Popular model home plan! Two-story with master down; larger lot; game room; separate media room; open concept; chef's island kitchen with built in appliances and upgraded counters; study, wood, tile and carpet flooring; 8' doors down; covered rear patio; preplumbed for water softener; and more! Available March 2019. Community amenities include pool, amphitheater, walking/cycling trails, pocket parks, and open play areas." "Library with French doors frames the entry. Formal dining room with ceramic tile floor. Kitchen features a large pantry and an island with a built-in seating space. Two-story family room with ceramic tile floor features a wall of windows. Private master suite with three-large windows. Master bath features dual vanities, a garden tub, separate glass enclosed shower and a large walk-in closet. Game room and secondary bedrooms complete the second level. 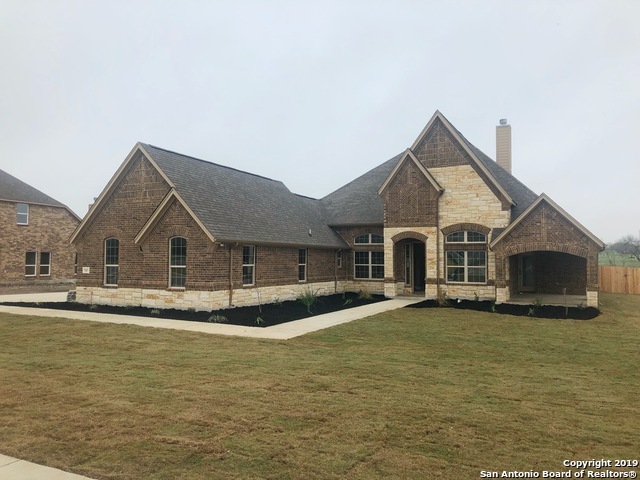 Stage of construction is Released on the day "
"1.28-acre residential property with a large 2777 SQ FT, 1 story ranch style home with tons of space and a tremendous amount of storage, beautiful mature trees that accent the beauty of this home. Has an additional detached 2 car garage with a workshop and carport, so much potential, well taking care of home just needs updating to bring out its true beauty. 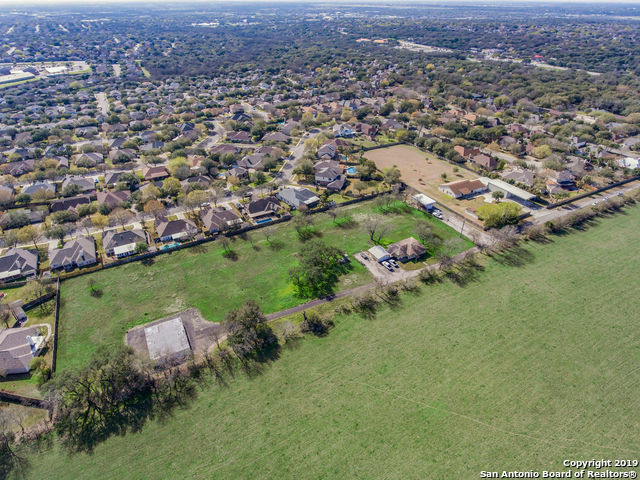 Approximately 1 mile from I-35 N. (Location, Location, Location) My client is selling as is, He has no plans to do repairs / updating."